When we returned recently, we were no longer young, wide-eyed budget backpackers. This time around we were older, wiser travel veterans. Our feelings towards Bangkok were the same, however. We were still in awe of the street life and reveled in the craziness surrounding us. We soaked up the smells (some better than others), and explored new neighbourhoods that we hadn’t had a chance to in the past. 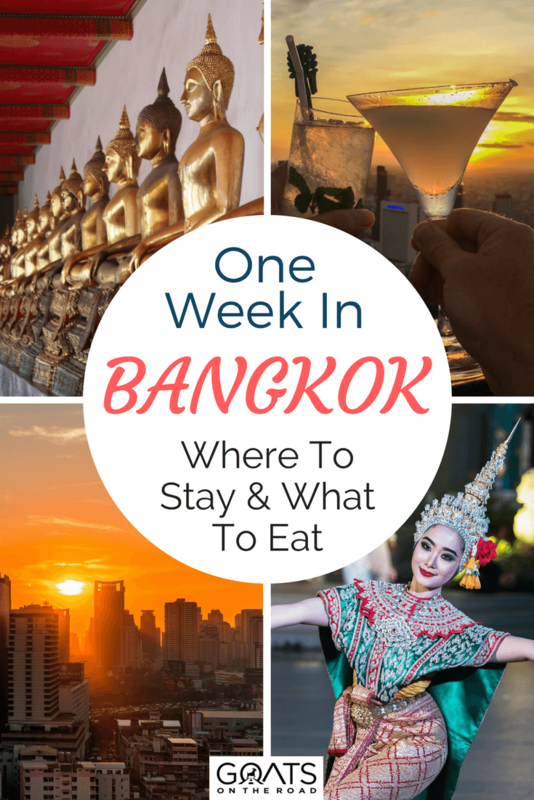 There are so many sights to see and things to do in Bangkok, but our main reason for returning to Bangkok, was to catch up on some health & wellness, purchase some much-needed products, visit with old friends, and of course, eat delectable Thai food. 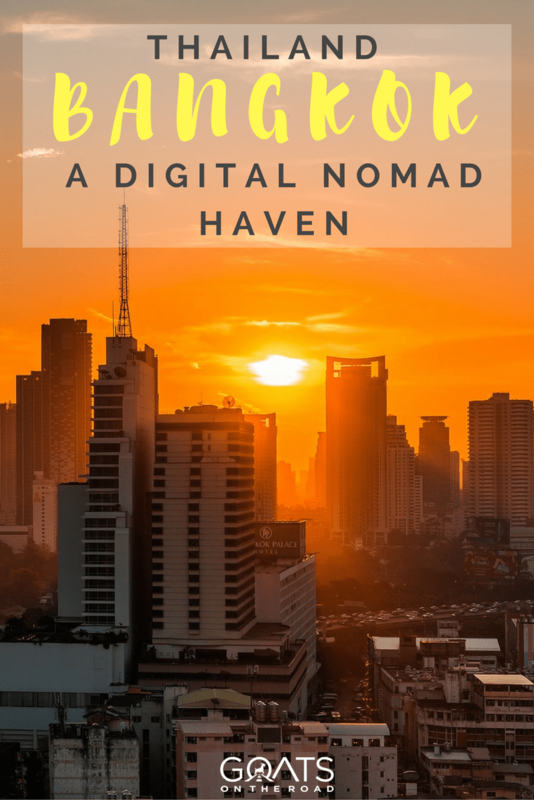 As we continue with our Digital Nomad lifestyle, finding ourselves in countries with proper healthcare and necessities that we need is the exception, rather than the norm. Prior to this recent week in Bangkok, we had been travelling around Colombia, Argentina, Uruguay, Chile, the UK, Greece and Kyrgyzstan, and apart from the UK, the rest of the countries aren’t exactly known for their healthcare. Or, because we were travelling too fast, we didn’t have a chance to stop and make appointments. 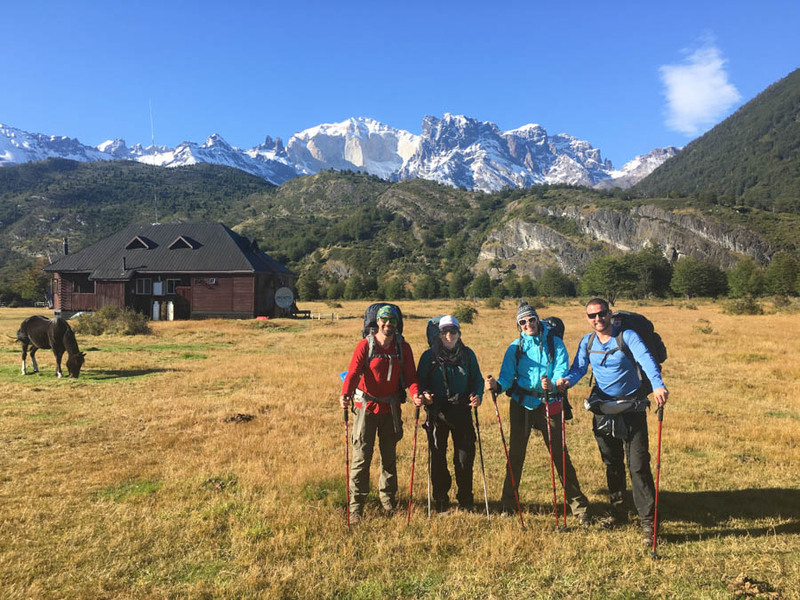 Too busy trekking in Chile to visit the doctor! And forget about buying any electronics in South America – it’s way too expensive there. Bangkok is our haven. It has everything we could want, or need while on the road! In Canada, when we had dental coverage, we visited the dentist 2 times a year. These days, our trips to the dentist are a few and far between. We were overdue for a check-up and because Bangkok is known for being a hub for medial tourism (especially for Europeans and Australians), we decided this would be an excellent city to have our dental work done. 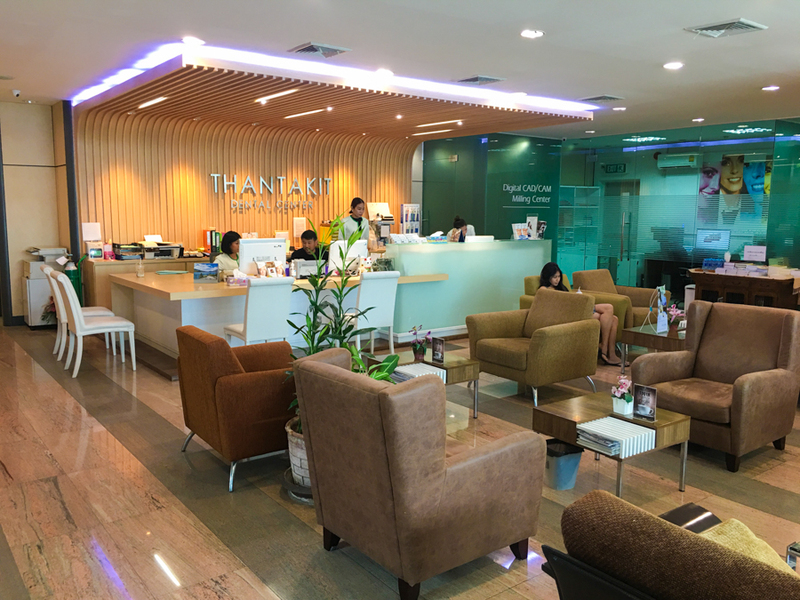 After doing some research, and seeing that our friend Johnny goes here too, we opted for Thantakit International Dental Center. The office was clean and the staff were friendly. We both had a check-up and a cleaning done, and I had 2 cavities filled. As with our dental experience in Mexico, everything went very well. Not only is Bangkok known for its high quality international dental centers (with dentists and hygienists trained abroad) but the cost is a fraction of the price compared to places like Canada, the USA, the UK and Australia. 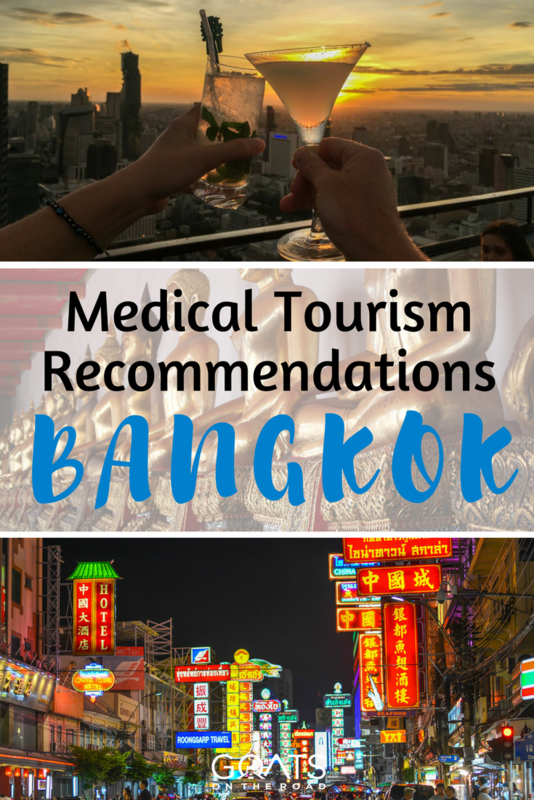 If you’re considering having dental work done abroad, definitely check out Bangkok. Do your own research and choose a dental center that looks good to you. Next up was an annual doctor visit. Dealing with women’s health while on the road can be a difficult task, one I’ve had to endure for 8 years now. Another thing Bangkok is known for are its private international hospitals with high hygiene standards. So, I figured this would be a good spot to go for an annual check-up. I visited Bumrungrad International Hospital, and although the hospital itself provides services on par with international standards, the overall experience wasn’t great. They don’t take appointments, so I had to wait for 3 hours until I saw the doctor. It was so busy that the gynecologist was running from one room to the next, making me feel like just another number. Because it’s a private hospital, I had to pay for every little thing – including having the results given to me when I returned 2 days later. So, great standards, not-so-great service. Regardless, I was able to check that off of my list of things to do! If you have any serious health concerns or any sort of emergencies, however, Bumrungrad Hospital is highly regarded by expats and foreigners. We’re not materialistic, and in fact, we live a very minimalistic lifestyle. But, there are some items that we need for work in order to create videos and content on our website. About a year ago we sold our Phantom 3 drone as it was hindering our travels – it was bulky, loud, hard to carry, difficult to set up, etc. Before travelling to Bangkok we had talked about getting another drone as the technology had changed and they were now much smaller and quieter. 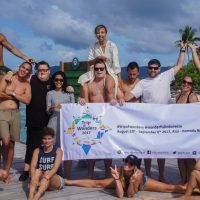 We had just been invited on a scuba diving trip in Indonesia by the tourism board, and since we’d be visiting some incredible islands, we thought having a drone would be a great way to capture the beauty from above! If we were living at home in Canada, it would be simple to just go to the store and buy a drone. But, since we’re living and travelling abroad all of the time, it’s not so easy. Thankfully, Bangkok has a DJI retailer and after wandering down some back streets, we found the “shop” – which was actually just someone’s house! 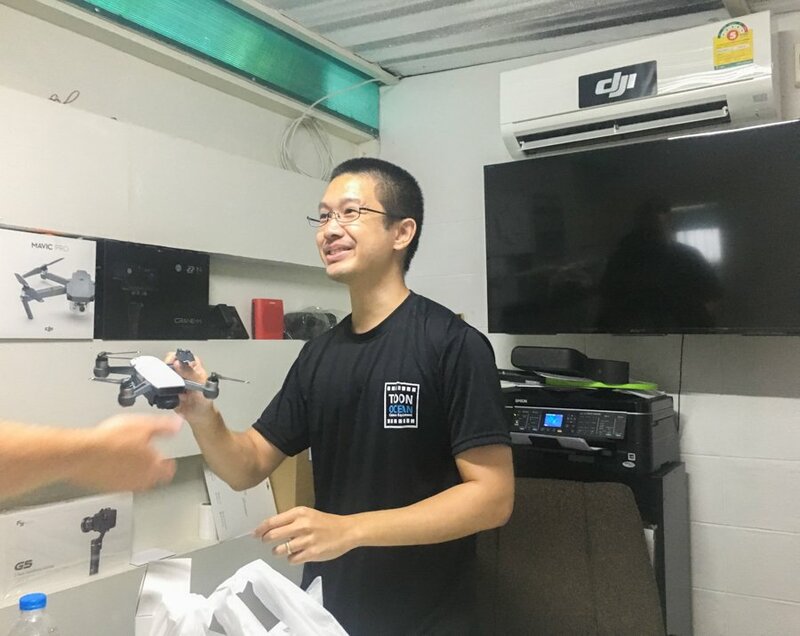 This is the DJI “shop” in Bangkok – a small office attached to this guy’s home! We left with a new DJI Spark Drone, and a controller. It’s super small, effortless to set up, and fairly quiet. Next up on our list of purchases was a new iPhone. We bought our first iPhone in 2016, making us the last people we knew to get a smart phone – even our parents had one! Not only were we late to the iPhone game, but we only had 1 between us. That’s right, we’re in our 30’s and we shared a phone. The main reason we decided to buy another one was (again) because of the Indonesia trip that we were invited on. It was a scuba diving trip, so just Nick was going, and leaving me behind in Canggu Bali without a phone wasn’t an option. First we tried Craigslist in Bangkok to look for used phones, followed by a recommendation by our expat friend Johnny to check out MBK Retail Mall. This place is huge. We finally figured out which floor the electronics were on (4th in case you’re wondering) and began our search for an authentic iPhone. Eventually we found a brand new iPhone 6s Plus for me, and after checking out this site, we determined that it was in fact a real iPhone and not a fake. A trip to MBK is something you only want to do if you need to purchase a particular item, or if you’re a shopping / mall kind of person. After a visit here we were thoroughly exhausted. Apart from electronics, Bangkok was a great place to buy some clothing and stock up on some medicine that we were in need of. Arriving in Bangkok was a breath of fresh air in terms of food options. Although we love Greek food, Latin food, and pub grub in the UK, much of it is heavy and greasy. Being able to dine on rice, noodles, vegetables and tofu was a welcomed change. To us, eating is one of the top things to do in Thailand! 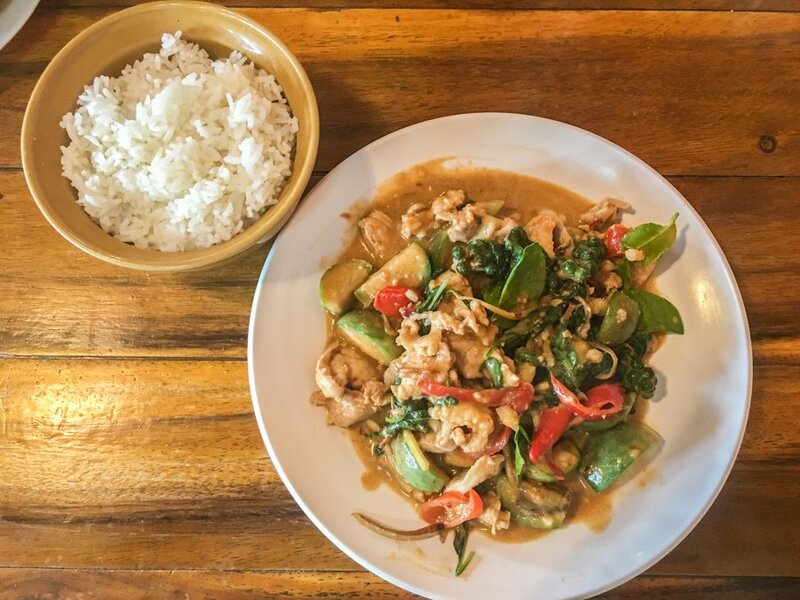 Thai food is some of the best cuisine in the entire world. 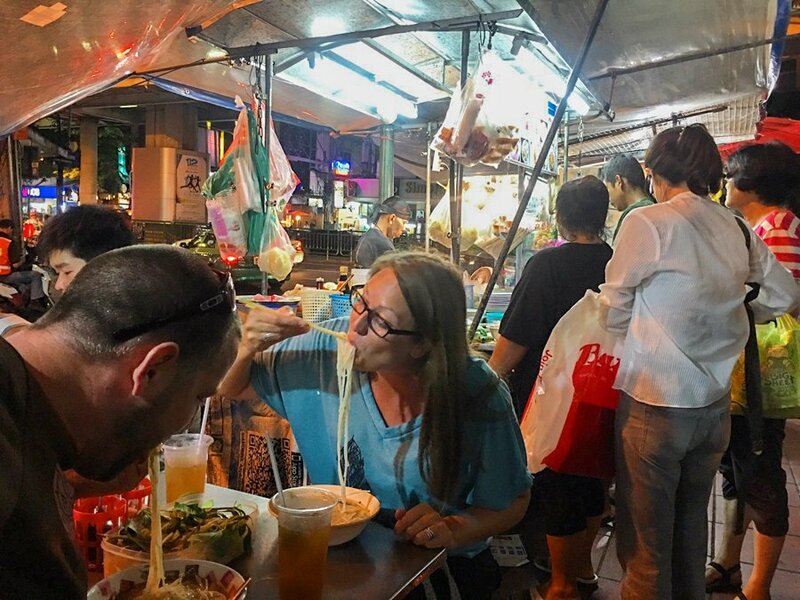 During our first few trips to Bangkok, we would only eat street food (as it was cheaper) and therefore missed out on trying the wide variety of dishes on offer. To give you an example of just how “budget” we were: we’d eat 30 baht ($0.90) Pad Thai on the street when we were 24 years old in order to save as much money as possible. This time around, we were eating 120 baht ($3.65) curries and flavourful meals that we had never even heard of. For $2.75 more, we were actually enjoying our meals in Thailand, and were able to experience a wide variety of dishes. Of course, we still found a few tasty noodle stands on the street for 60 baht ($1.80)! Saladang Market in Silom for lunch, Northeast (our favourite restaurant), Moo Moo Eatery, Ros Niyom, Wine Connection and any busy street stalls that you see! 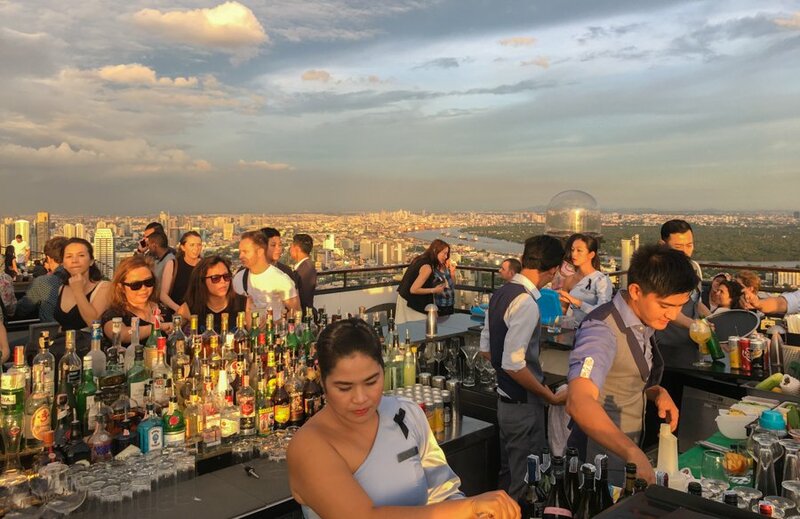 For craft beer, check out The Commons and for craft beer and cocktails with an amazing view, don’t miss Vertigo & Moon Bar. During our younger years, we would always stay in the crazy party area around Koh San Road. 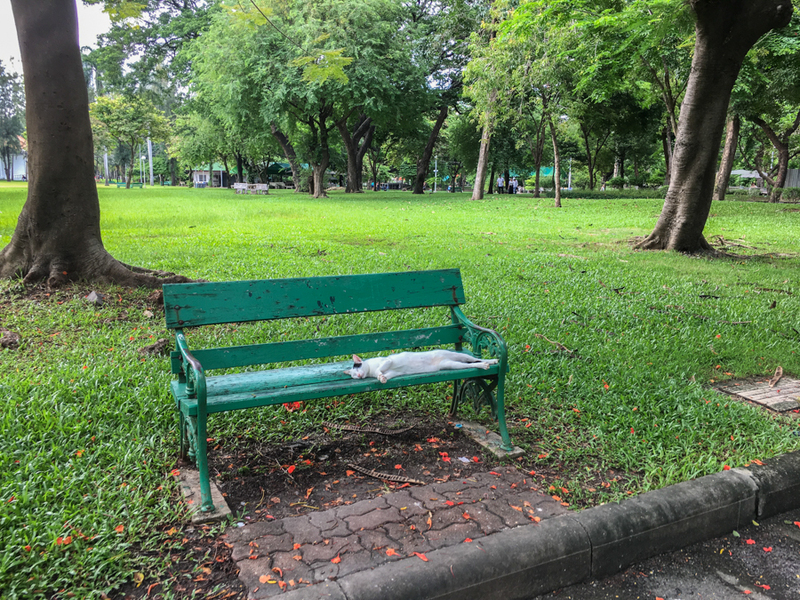 This time around, we opted for the Silom neighbourhood, which is right near beautiful Lumphini Park. There are loads of restaurants and markets nearby, and we were staying right near the MTR which gave us access to other areas of the city. ☞ Planning to travel to other places in Thailand? Don’t miss these posts of ours: Things To Do in Chiang Mai, Things To Do in Koh Phangan and Things To Do in Pai. There are so many amazing places to see in Thailand. 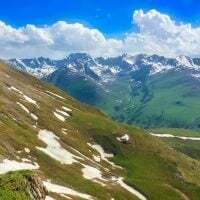 Check out our posts and start planning your trip! 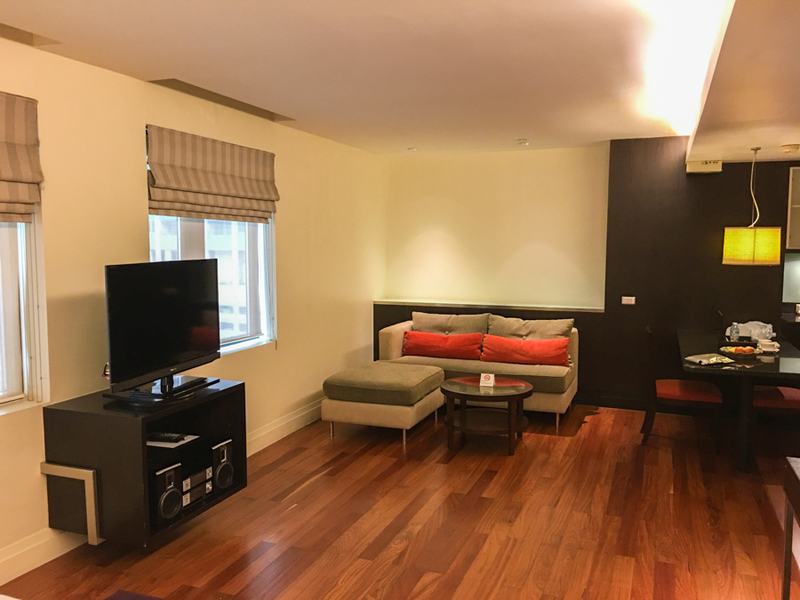 This hotel has apartment styled rooms (suites), meaning they are larger than a regular hotel room and have a kitchen and a living room, complete with a couch and TV. There’s a free onsite gym and fitness center and an outdoor pool. There’s also a restaurant and spa. We loved the location of this place as it was close to so many restaurants and public transportation as well. Also, the staff are very friendly here and really helpful as well! Still in the Silom area, this hotel is down a side alleyway, away from the street traffic. The locaion is amazing, right near malls, restaurants, bars and the BTS line for transportation. The rooms here aren’t huge, but they are big enough, very clean, comfortable and quiet. The staff here are very nice and they give you a small breakfast for free in the morning (juice box, bun and banana). 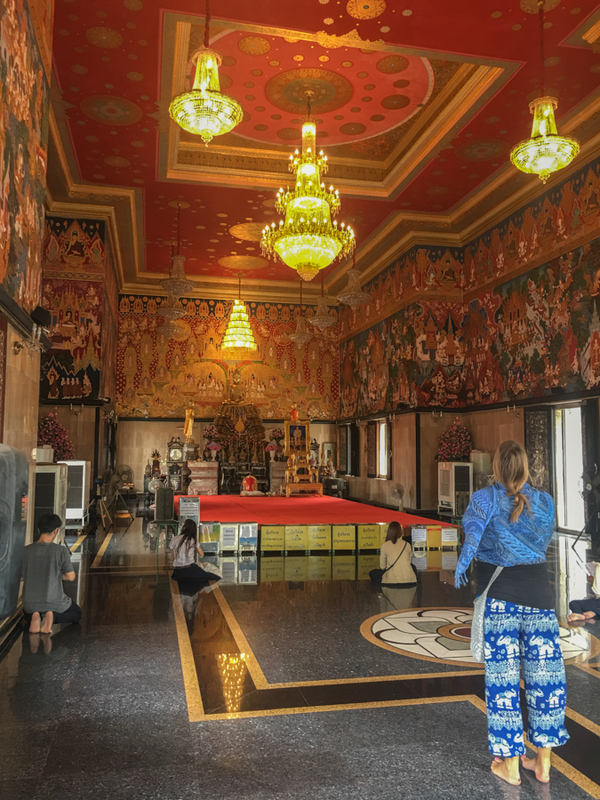 Bangkok is one of the best places to visit in Thailand, and after a very productive week in the city, we had finished our Digital Nomad errands and it was time for us to move on. We love the city – the vibe is unlike anywhere else in the world. But, it’s a city, one that’s incredibly busy and hectic. For us, a week in Bangkok is enough. We made our way to the airport and began our journey to the island of Koh Samui, a place we would be living for 1.5 months! Our Location Independent Lifestyle: What Does It Cost? A great article. It’s nice to hear from you again. I vote for this type of story. Great story! 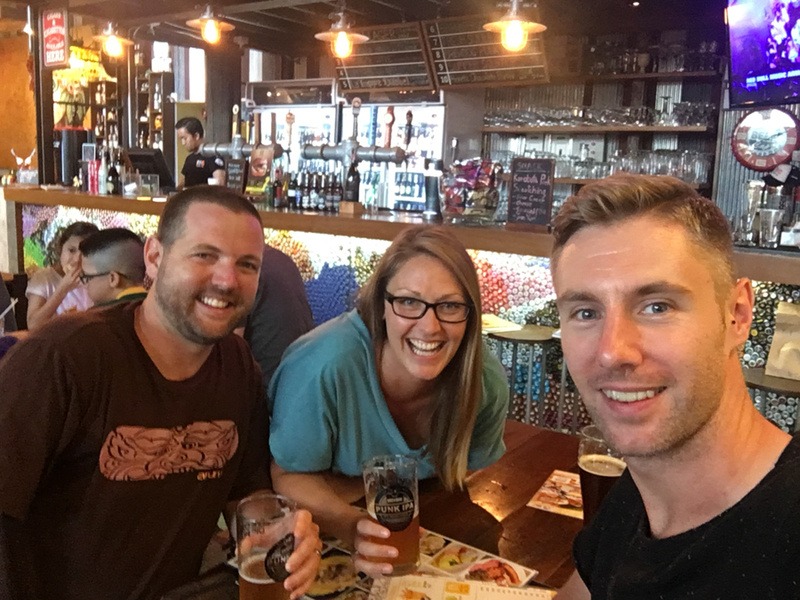 I love Bangkok, and you’re right, it’s a great place to “catch up with yourself” when it comes to really good food and decent medical facilities. Love it – and I hope I get to go back there soon! I’ve been to the gynochologist at Bangkok hospital and more recently to Bangkok Christian hospital. It’s reasonably priced and I have always been seen within half an hour. When I fly into Bangkok this year I am really looking forward to splashing out in a fancy hotel and shopping before I visit my Thai friends very very little guesthouse ion Karon Beach in Phuket. We would like to take this opportunity to introduce our company. The Urban Office seeks to redefine the modern working experience by offering mindfully designed and cost effective coworking and flexible work spaces, located in the prime Phrom Phong CBD area at the Sky train station. Our vision is to help freelancers, entrepreneurs, start-ups, SMBs and global companies open and succeed in new markets, by customizing workspace and business solutions for all work needs. For more info, please check out our website here (www.theurbanoffice.com). It would be great if we can collaborate with you as we can give you a special deal/Free day of using our space to work for your readers and in return we would like to invite you to come to our space to work for a free day and write a short review for us if it possible. I am wondering if you would be interested to collaborate with us. Should you be interested in proceeding further or have any questions please feel free to give me a call.